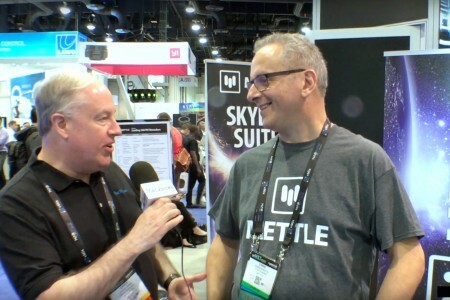 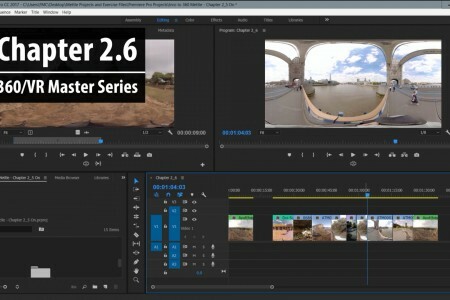 Charles Yeager (yeagerfilm.com) shows two different methods for adding subtitles to 360 footage. 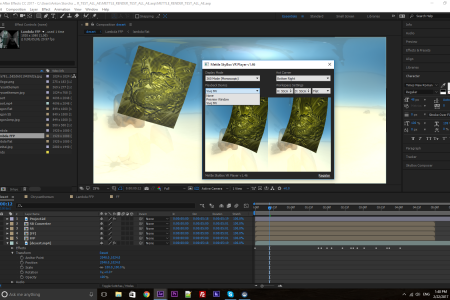 The first method uses the integrated SkyBox 360/VR tools in CC 2018. 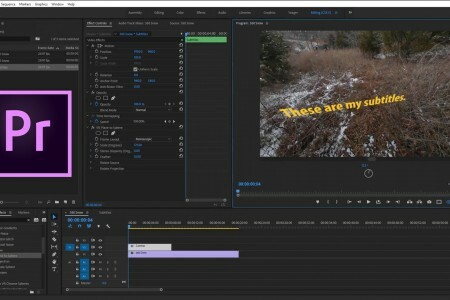 The second method uses Mantra VR Graphix effect, which speeds up and automates the process. 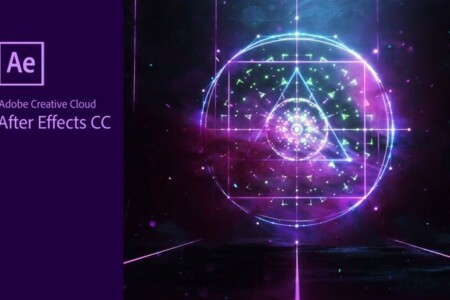 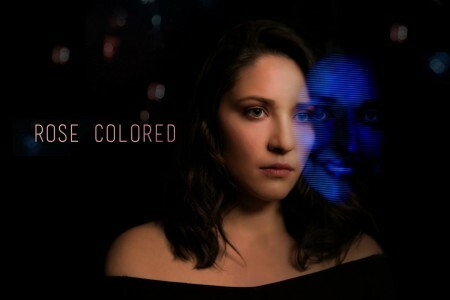 Adobe has just unveiled the latest update to its Creative Cloud – Find out more details here. 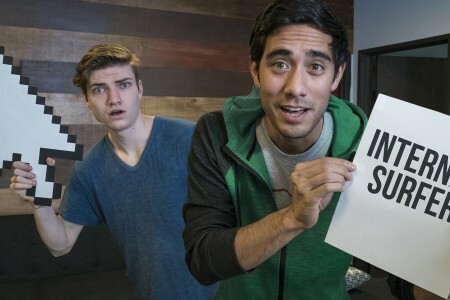 We’ve prepared a list of the latest features below. 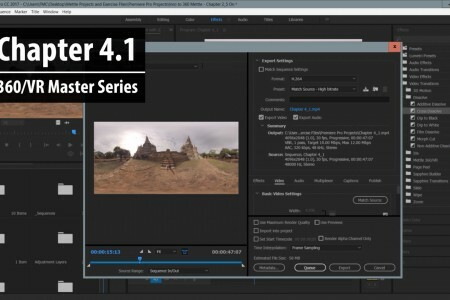 Chapter 4.1: In this video, we learn best practices to export our sequence from Adobe Premiere Pro to Adobe Media Encoder. 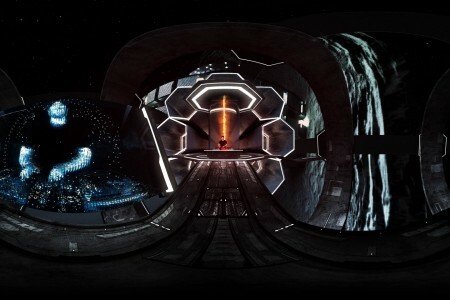 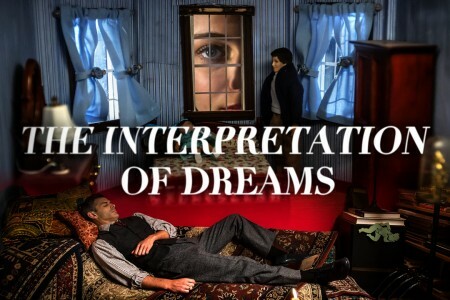 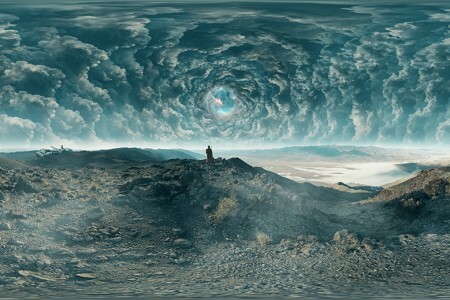 Part of the “Master Series: Cinematic 360/VR Production with SkyBox Suite“. 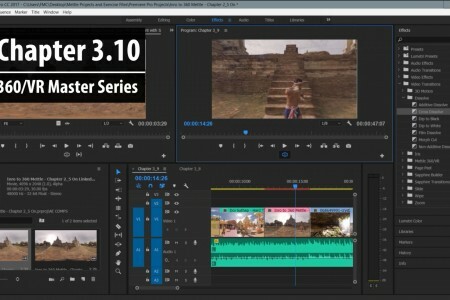 Chapter 3.10: Once the camera rig is removed in After Effects, we see different methods of sending our clip back to Premiere Pro. 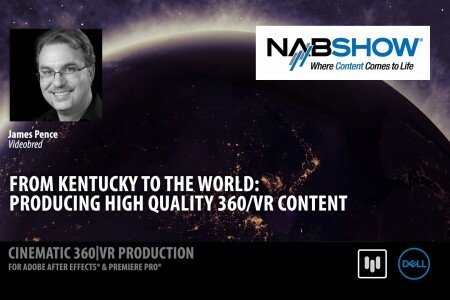 Chapter 3.6: We learn how to apply the 360 Post FX in SkyBox 360/VR Tools and why they are necessary for 360 post-production. 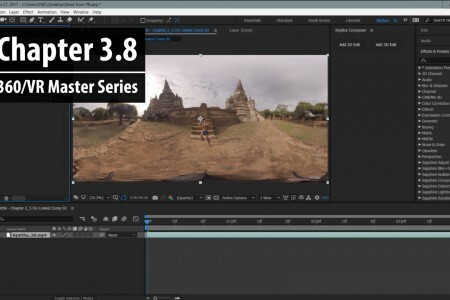 Chapter 3.5: We learn why traditional Post FX are not designed to handle 360 footage, and what happens when they are applied. 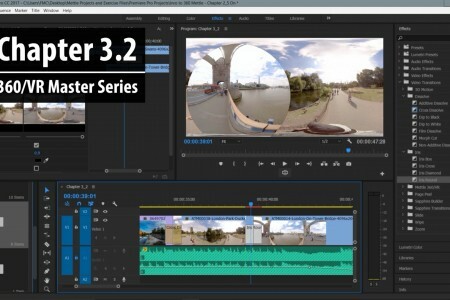 Chapter 3.2: We learn about the limitations of the built-in 2D transitions in Premiere Pro for 360 editing. 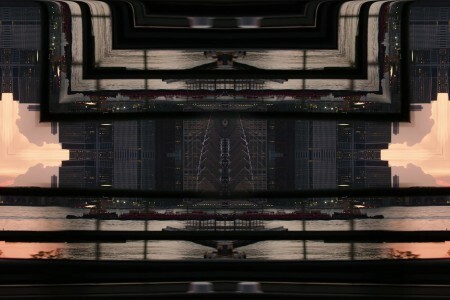 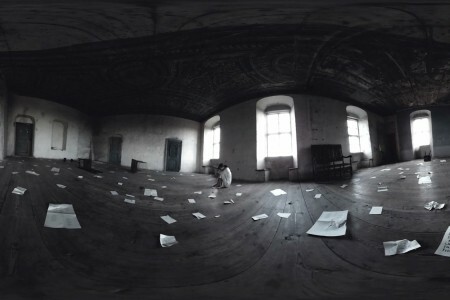 Regular transitions do not work with spherical (equirectangular) footage. 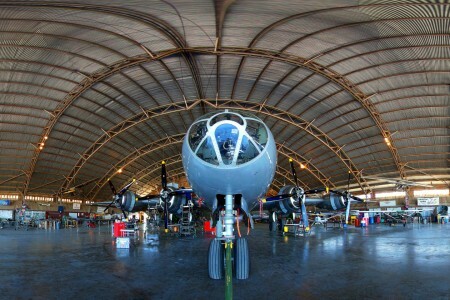 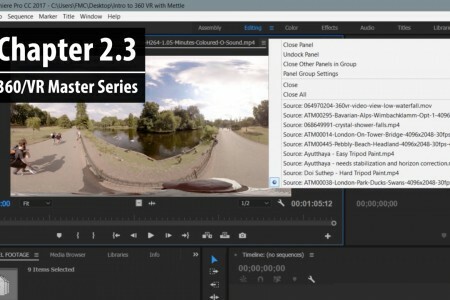 Seamless footage requires seamless spherical transitions, which is where Mettle comes in. 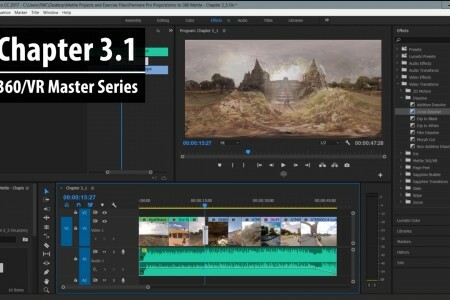 Chapter 3.1: In this video, we get an overview of how transitions work in Premiere Pro. 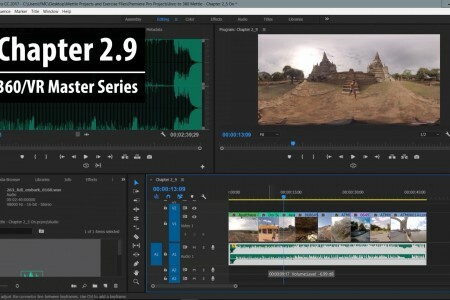 Chapter 2.9: In this tutorial, we learn how to add an audio track to our 360 video travel montage and make a couple animated fade adjustments. 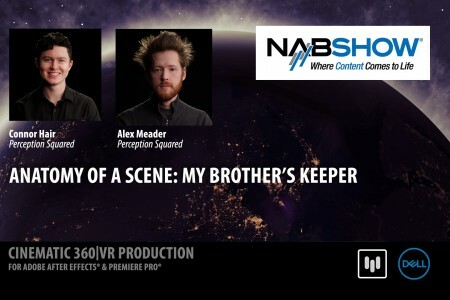 Part of the “Master Series: Cinematic 360/VR Production with SkyBox Suite”. 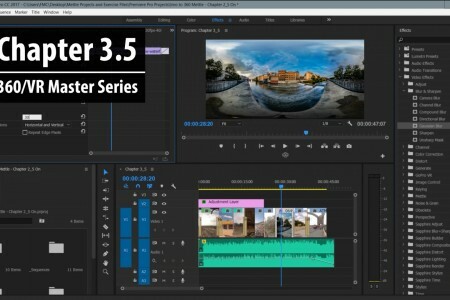 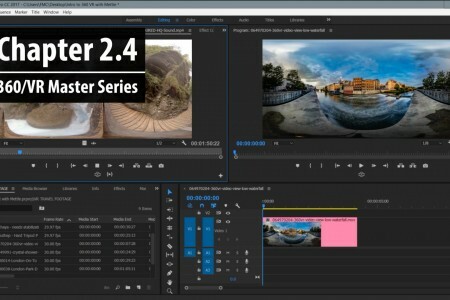 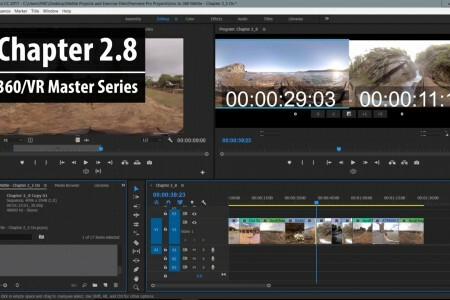 Chapter 2.8: Take your editing skills to the next level by exploring even more trimming techniques to speed up your Premiere Pro 360 editing workflows. 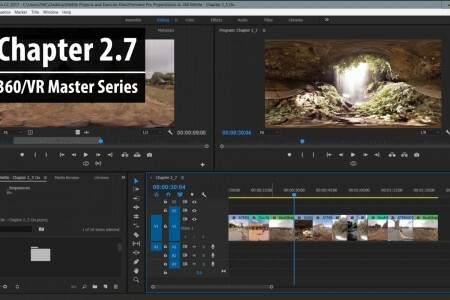 Chapter 2.7: Learn all of the trimming options available for 360 right under the default selection tool and even how to reverse the operations for your specific workflow. 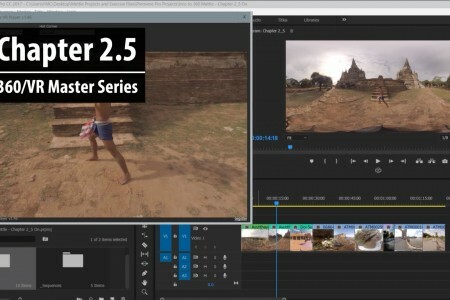 Chapter 2.6: Learn how to efficiently move 360 video clips in your Premiere Pro timeline with a ton of essential editing tricks. 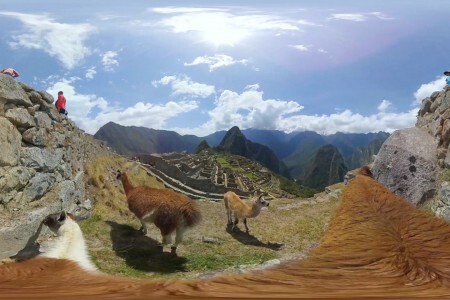 In this tutorial, we’re going to start and assemble a 360/VR sequence with our equirectangular clips selects. 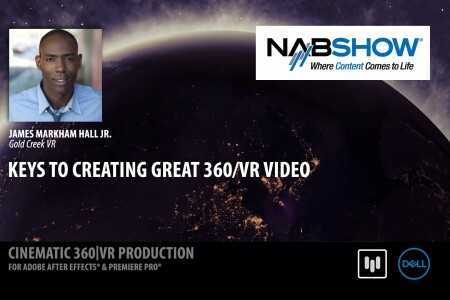 Download free 360 assets here to follow along. 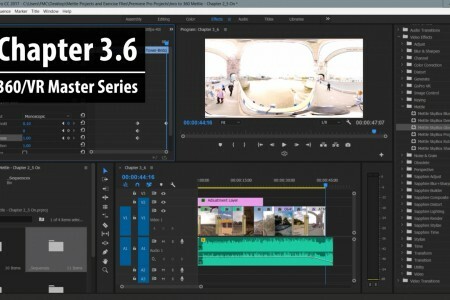 In this tutorial, were going to add multiple clips to the Source Monitor add a button to allow us to view our 360 footage on a sphere and make some edit decisions on our clips.